Remember this post? From the first touch of the powder puff unto my face with its cheap smelling scent, I knew there was something wrong with it. The smell would have been negotiable as I mentioned in that post, but the breakouts here and there was just unacceptable. The coverage actually is not bad, but the side effect it has on my skin is. And please take note that my skin is not the type that breaks out easily. I never had an acne in my lifetime. Probably a few pimples when I was in puberty, but that was about it. Fact is I do not have sensitive skin. I try out all the products I want without hassle, except for this. It is sad really because the coverage it gives can really be good, but who would want a good coverage with red patches here and there? Not me. From that witty and pretty girl of Legally Blonde to the real life fashionista heiress Paris Hilton, dogs have found a place in the hearts of girls and practically every household. If you are looking into a nationwide registry of Dog Boarding in California, you have to check out DogBoarding.com. Their listings include everything that you will need. Give your dog that needed vacation, when you are on a getaway yourself. A lot of great site has sprouted that made online access to some of the otherwise classified information. One of which allows you to do an indiana inmate search. Wherever state you are from and from whatever state you are looking into, this is the place to check out for that quick and easy search. As morbid as it sounds, one of the things that are sure to come to any person is death. That’s the reality of life. If you happen to be in search texas death records and you do not want any of those hassles, deathcertificatesearch.org is the one to look into. It has a database of complete records from all over America. Majority of adults have what is called a combination skin (dry and oily). It is always best to know what type of skin you are classified under. This is beneficial as you choose the kind of skin regimen that is right for you. Dry skin. Right after washing, skin feels tight. Moisturizer is required especially during cold weather. Can be identified with rough skin surface and is poreless. Small lines can be found around the mouth and eye area. Dry skin wrinkles faster than any other skin type. Oily skin. Enlarged pores. Shiny and oily face with the presence of black and white heads and some occasional pimples. Pimples on shoulders and back. Combination skin. The T-Zone (forehead, nose and chin) is oil while the other parts are dry. Sensitive skin. Feels itchy and easily turns red and has a tendency to blotchiness. Extra care should be given if you belong to this skin type. Dehydrated skin. Basically similar to dry skin, but worse. Itchy, flaky, cracked and with paper feel. This was once a very controversial issue. It was claimed in the U.S that saline breast implants were far safer than silicone. This was brought about after several patients filed complaints against companies that manufacture silicone. The issue was that the silicone leaks throughout the body. But years after, this notion has been reversed. Fact is as long as we introduce foreign bodies into our own, there will always be side effects of sorts somehow. Word of mouth. This is the most effective way to advertise. If you have a great product, then chances are people who will try it out will get out to let others know it. At least this is how it worked for me. I have come to know great products because of reviews that I come across. This is what BuzzHub is all about. A marketing platform in the internet that is really effective for small and medium scale businesses to maximize, whether you are from Connecticut, New Jersey, New York or Pennsylvania. Let the customer referrals out, get them promoted via your BuzzRating both on the Business Internet Directory and on print and see what this will do for your business. I would say that in shopping for anything this Yellow pages is a great feature for customers to check out before we even try the product out ourselves. Getting your product or service included in business listing should prove to be beneficial in the long run. I have one good reason to delay my physical fitness plan. 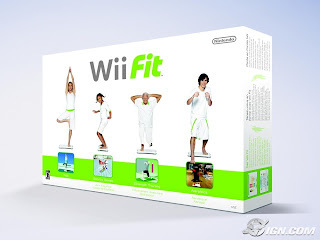 Two months from now I will seriously get down to an exercise regimen via Wii Fit. This work from home career that I have does not give me the luxury of going to posh exercise centers like my sis does. She is a member of Fitness First. I could have had the privilege of being a member of Gold’s Gym when I was in this call center agent job (which I am glad that I did not stay long in). It’s just not me to fuss over gearing up and going to a far place to do my thing. 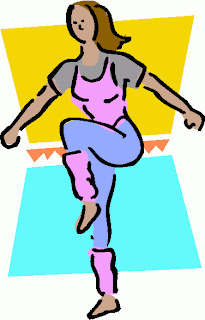 For a while I did some tae-bo exercises here at home, but the audio visual was just not that very encouraging. While I may be notorious for being good at exercising not more than a couple of weeks, I am still hopeful that this Wii Fit will get me to persevere. For one, I remember doing 200 crunches a day in my single days, so I guess the persisitent streak in me could still be there somewhere. I vividly remember how fashion design sketching saved me from my boring classes. I confess that I am one of those who doodle their way to pass time, when teachers just do not sound very interesting. Even at that time I had such short attention span, and to think that my television exposure was not that much. And as opposed to brown nosers around me back then, I am kept to myself, doing my own business, still I managed to ace in my classes, whenever I want, that is. I am not your geeky type of student, but back then I already knew what I wanted. And doing artsy things like these do not really count as one of those feasible careers so I went to business school. I always had my eyes on pretty things. Even at a young age, I was keen on what’s nice to look at what makes them sore. It was pretty evident, the moment I stepped out of my family of origin’s abode and stepped into my new home as a married woman, the old house started to lack taste. In fact, the very first Christmas I was out of the house was the first Christmas that they did not get the tree up. Meanwhile, as the hubby and I got settled, I indulged myself in what I love to do – not fashion design exactly, but home design. I literally turned an old shack into a cozy home. If I only had my way, I would have taken a course on fashion career. Too bad a career on visual merchandising was not yet a big thing back then, but if it were, I would have gotten the approval of my folks. But then again, I could always take some designer classes if I really want to.